0896 3096 0163 (SMS only) for faster response! Selasa s/d Minggu jam 11 Siang sd 8 Malam. Senin libur. Computer Audio (aka Digital Audio) is one of the hottest ways music lovers are enjoying their favorite music. High-speed internet has enabled high quality lossless music files. The little brother to HiFiMANs critically-acclaimed HM-801, the HM-602 is offers the companys most affordable model yet offers a similar sonic signature with a superb D/A converter and headphone amplifier. With its handy high / low Gain switch, this player can drive both high efficiency IEM and most full size headphones. In addition, the HM-602 also can work as a USB DAC which is handy for use with a computer. Supplied with 8Gb memory which will provide storage for hundreds of songs. With The HM-602 can handle most music formats such as mp3, wav, flac, aac, ogg, wmv etc. Remarkable performance at an affordable price. It is well known that Non-oversampling dacs offer great sound for little money. HM-602 is the first portable player using non-oversampling DAC: Philips TDA-1543. As younger brother of HM-801, HM-602 shares HM-801's great sound signature. To make it as portable as possible, HM-602 does not have amplifier modular design. However, its headphone amp part is very similar to HM-801's standard module. To drive both high impedance and low impedance headphones, HM-602 with the high / low Gain switch can drive both high efficiency IEM and most full size headphones. In addition, HM-602 also can work as a USB DAC. Discover more music than ever before from your CDs and digital downloads  a music player QA-550. * No moving parts to wear out. Consistant performance every time! * Whole box sets of your favourite CD music collections can be captured in glorious, uncompressed WAV format onto a tiny SD card no bigger than a postage stamp! * Main CPU use PIC 16bit MCU, Firmware upgradeable,Separate use another MCU for remote Receive. * Remote control allows easy access to folders. It also allows direct track access by directly typing in track numbers. * Uses high-quality components like Sanyo OS-CON capacitors, AMS1117-3.3, MC7805, 74VHC04, CS8406, ect..
* It also can support play 5.1ch(AC-3 or DTS) *.wav file, and output 5.1ch SPDIF PCM signal, But you need have DAC can support 5.1ch. REVIEW: QLS QA-350 solid state transport - amazing sound and versatility! QA350 MOD V2 is new mod version of QA350, It upgraded the headphone amp chip MAX9722A to AD8397 chip, It sounds damn good. 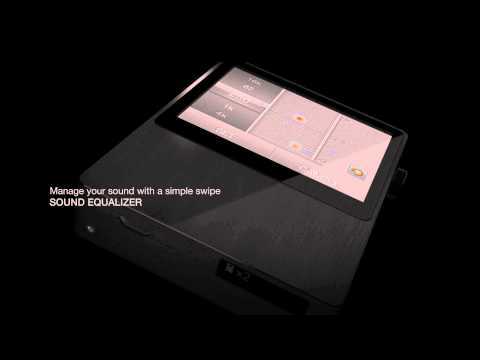 It has the capability to drive any headphones available in the high-end with ease. 1. The innovative design of car,travel and USB charger. 2. AC/DC input, with 2 USB output ports, charges two different devices simultaneously. 3. It can charge iPhone*,iPod*,MP3,MP4,MP5 & Mobile Phones etc. 4. 2 colors LED charging indicator. Pembayaran Melalui Rek Bank BCA, Bank Mandiri. 08999 725 820(SMS only) for faster response! Selasa s/d Minggu jam 11 Siang sd 9 Malam. Berbagai Headphone, Earphones, Head Amps Mantabs!==>KLIK SINI!! Berbagai Jack, Kabel, Interconnect Mantabs!==>KLIK SINI!! Berbagai Rechageable Baterai dan Charger Mantabs!==>KLIK SINI!! Monster IEMs & Headphones Beats by Dr. Dre==>KLIK SINI!! Original Posted By annoep► akhirnya kebeli juga D2+..
Bapak satu ini sabar banget nangangin user newbie seperti saya..
niatnya cuma beli D2+, malah coba2 earphone ma headphone lainnya..
tertarik sama PR-18, sama phonak serinya ga inget.. pas sama selera pak..
lagi coba equalisernya ni, masih belum menu yang terbaik..
di tunggu leather casenya, sisain satu..
D2+ harga/kualitas=excellent.. recommended buat di beli.. Original Posted By zeguym► Bos satu ini emang mantap dah. Kemaren habis ambil Itouch 32gbnya, ada walkin promo. Maksudnya hanya ambil itouch doank, tp gara2 ada promo, nambah dah yang dibawa pulang, Ibasso T4. Dah ketiga kali nee ambil dr bos satu ini, isa ajah ngeracunnya nie, hehehehe. Barangnya mantap2 dah, sellernya juga mantap . Kapan2 isa kontak lg yah bos, hehehehe. Jangan lupa diskonnya . Btw, selamat buat tempat barunya yah. Semoga racunnya makin tersebar, hihihih. Sukses buat tempat barunya. Original Posted By speakerrombeng► Halo Gan! Seperti biasa sehabis belanja pasti kasih testi. Bro, id kaskus yg lama msh di pake gak? Trs jualanny gmn, apa aja skrg? Original Posted By Sigit Purnama► Bro, id kaskus yg lama msh di pake gak?